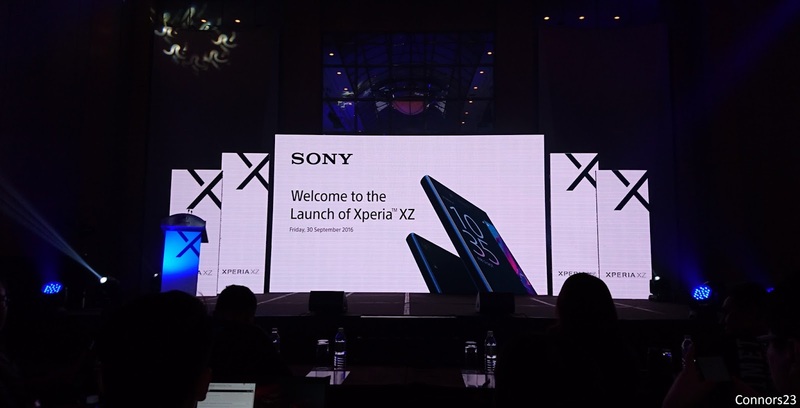 Sony's latest flagship smartphone the Xperia XZ and Xperia X Compact has been officially announced in Malaysia. 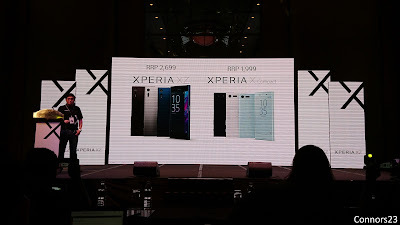 The Xperia XZ is the first proper flagship from the X-Series and also serves as the successor to the Xperia Z5. The Xperia XZ comes with a stunning loop surface design, the 2.5D curved glass and ALKALEIDO metal back merged together to make it comfortable to hold and feel premium. 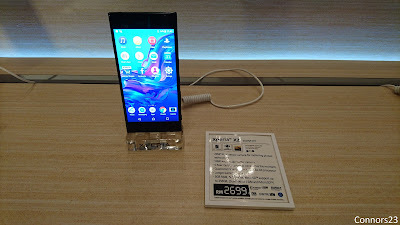 The Xperia XZ also carry some of the DNA from the Xperia Z5: it has a 5.2-inch 1080p display, a fingerprint sensor power button, 3 GB of RAM and a 2,900 mAh battery. Under the hood, the Xperia XZ is powered by a Qualcomm Snapdragon 820 processor, 64 GB of internal storage, dual-SIM (Hybrid slot), support up to 256 GB microSD card, capless water and dust resistant (IP65 & IP68), USB Type-C port and stereo speakers. The 5.2-inch screen is protected by Corning Gorilla Glass and the built-in 2,900 mAh battery features a new Battery Care with Qnovo Adaptive Charging and Quick Charge 3.0. The highlight of the Xperia XZ is the 23MP main camera. It equipped with Sony's triple image sensing technology (Image sensor, Laser Autofocus sensor & RGBC-IR sensor), Predictive Hybrid Autofocus, 5-axis stabilization as well as 4K video recording. The selfie camera uses a 13 MP unit with 22 mm wide-angle f/2.0 lens and support up to ISO 6400 for low-light photo. On the other hand, the Xperia X Compact also revealed during the launch event. 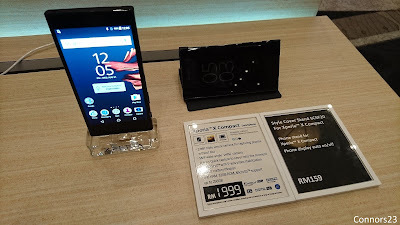 It features a 4.6-inch 720p display, a Snapdragon 650 processor paired with 3 GB of RAM, 32 GB of expandable storage (up to 256 GB mircoSD card), the same 23MP main camera with triple image sensing technology, a 5 MP front-facing camera, USB Type-C port, a fingerprint sensor power button and a 2,700 mAh battery. The Xperia XZ is now available for pre-order on 11street; both the Xperia XZ and Xperia X Compact will be available nationwide starting from 7th October. The Xperia XZ priced at RM2,699 and available in Forest Blue, Mineral Black and Platinum. 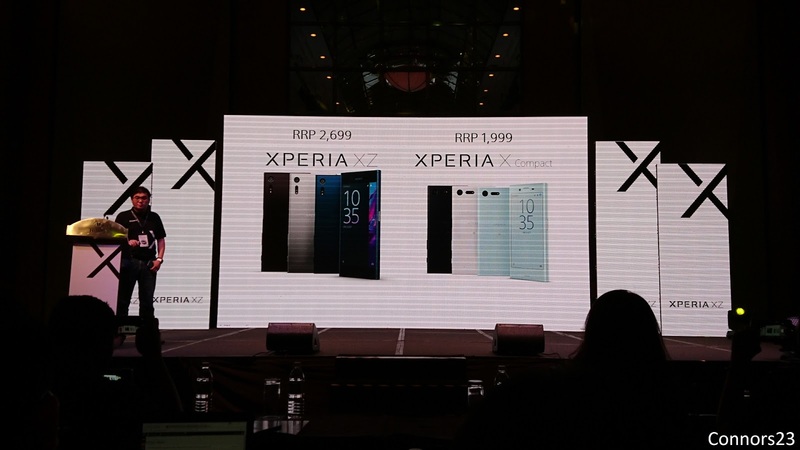 While the Xperia X Compact will go for RM1,999 and comes in Mist Blue, Universe Black and Stylish White.